Nail Your Look With Our Must Have Tools! Planning your next nail art look may be easy, but we’re here to make sure you have all of the must have items to perfect your next Red Carpet Manicure! Every good Red Carpet Manicure starts with the prep. Shape your nails to perfect with our Groom, Shaper and Refine Files! Use the Groom Buffer to remove any ridges on the natural nail, the Shaper File to shape the tip and edges and the Refine Buffer to avoid splitting the natural nail. To perfect your Red Carpet Manicure, you will need our Accessories Kit! Top Tip – the pointy edge of the orangewood stick is great for applying appliques and jewels! Give yourself a quicker curing time with our Salon Pro Light. What’s more, it has space to cure all five fingers or toes at once! 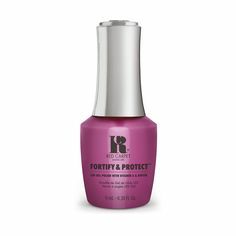 Whatever colour you go for in the lead up to autumn, give your Red Carpet Manicure an alternative finish with our Mattify Top Coat! 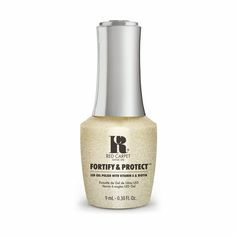 After two applications of your chosen Red Carpet Manicure gel polish, apply a thin coat of the Mattify Top Coat and cure this under your Pro LED Lamp for 45 seconds (2 minutes for a Portable LED Lamp). To follow, use a lint free wipe and apply the Red Carpet Manicure Purify Cleanser to remove the tacky residue on your nails. Everyone loves a bit of sparkle, so add some to your Red Carpet Manicure with our Nail Glitz glitters! We love using these at the tip of the nails for a timeless ombre look. If it’s a particular look you are going for this season, then try out our Nail Art Kits! We particularly love the Forever French Kit, containing everything you need to create a classic French manicure! Keep up to date with all our must haves over on our Facebook, Twitter, Instagram and Pinterest.